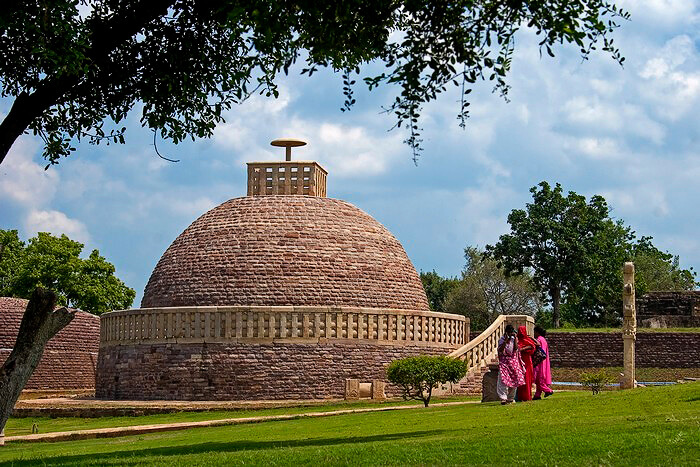 Sanchi is known for its Stupas, monasteries, temples and pillars dating from the 3rd century to the 12th century. The most famous of these monuments, is the Sanchi Stupa 1, which was originally built by the Mauryan Emperor Ashoka, the governor of Ujjayini, whose wife Devi was the daughter of a merchant from adjacent Vidisha. Their son Mahindra and daughter Sanghamitra were born in Ujjayini and sent to Srilanka, where they converted the King, the Queen and their people to Buddhism. Bhojpur is named after its founder, the Parmara king Bhoj. 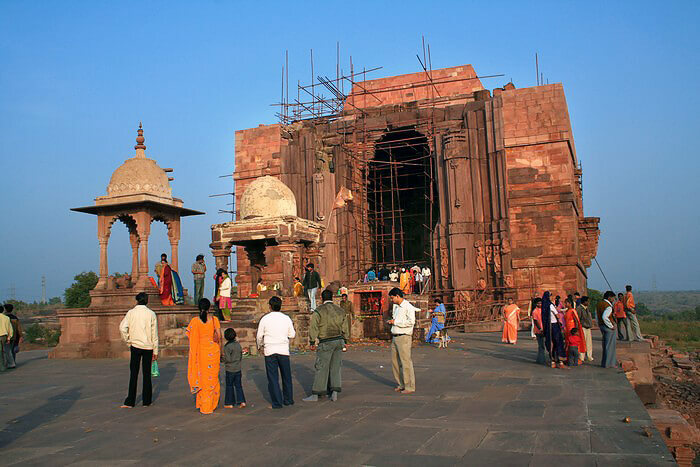 Bhojpur is situated 28 km from Bhopal on the banks of river Betwa. 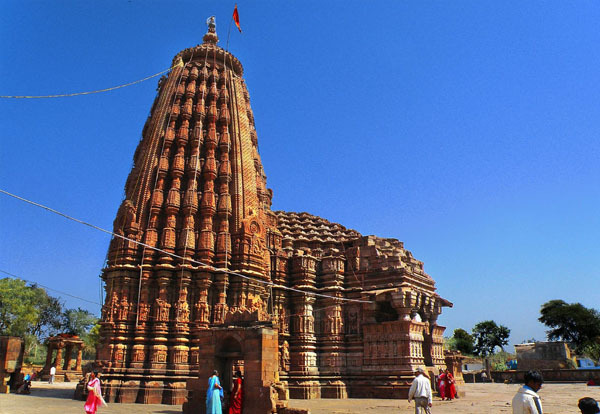 Bhojpur is famous for the incomplete Bhojeshwar temple, which is dedicated to Shiva. The temple houses the largest Shiva lingam in India, which is 5.5 m (18 ft) tall and 2.3 m (7.5 ft) in circumference and is crafted out a single rock. Enclosed by the northern tassel of the majestic Vindhyans, Bhimbetka in Bhopal is characterized by rock-strewn topography with thick woods and wrinkled precipices. The biggest depository of antediluvian knacks in India, Bhimbetka is a retreat of serenity and harmony for the picnickers. 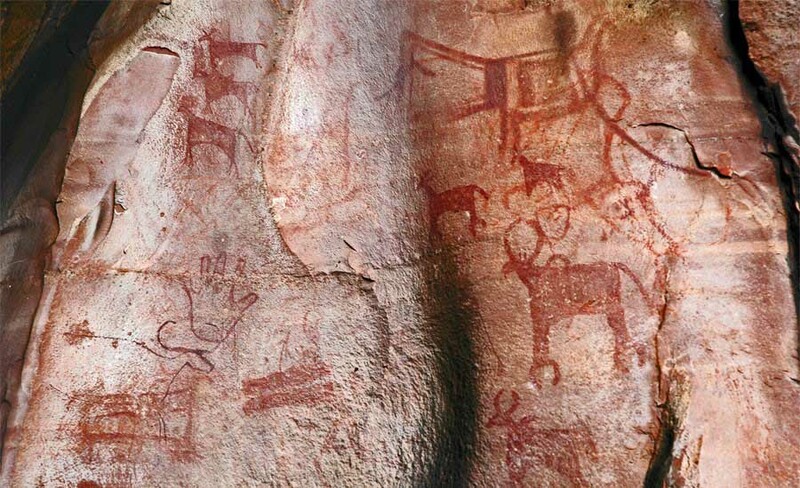 One of the most primitive dwellings of human race, Bhimbetka boasts of a history of 35000 years old. The Tawa Dam & Reservoir offers a scenic escape from the hustle bustle of city life. It is set amidst lush greenery, and offers much scope for adventure. Sunsets viewed from the dam are especially enchanting. Even more enchanting is the lake cruise, which takes you on a serene hour-long ride along the dreamy little islands dotting the reservoir and the panoramic hills of the Satpura to Churna. 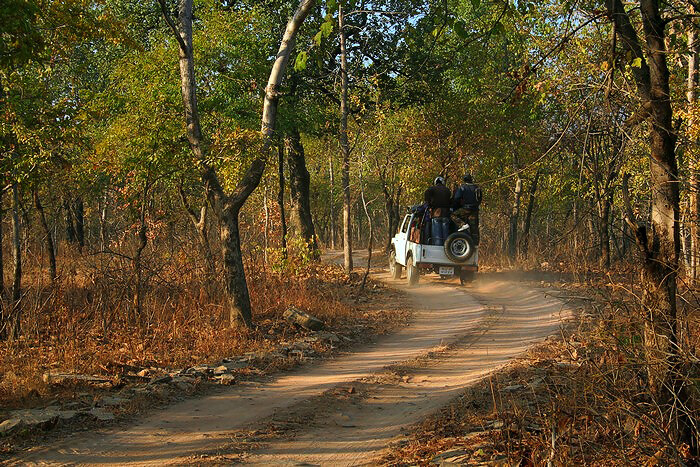 Here you can indulge in a jungle safari at the Satpura Tiger Reserve. Halali dam is known as Samrat Ashok Sagar Project. It is constructed across Halali river a tributary of Betwa river.Catchment area of the project is 699 sq. km. 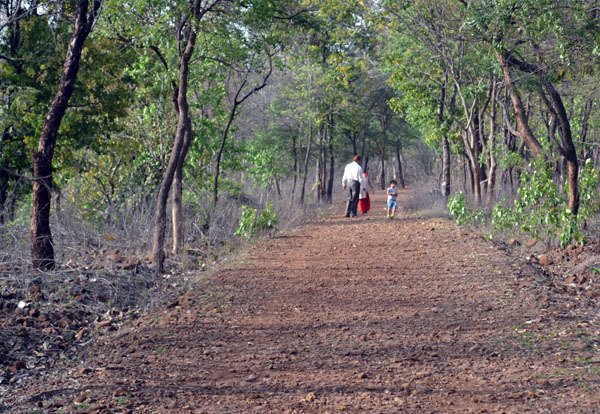 It is about 47 kilometers from Bhopal's New market and towards Sanchi. 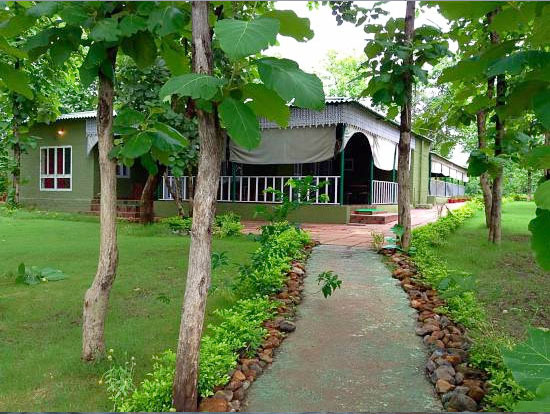 Ratapani is a Jungle & Wildlife Safari Lodge, situated barely 30 Kms from the City of Bhopal, on the fringes of the upcoming Ratapani Tiger Reserve, 200 meters from the Kolar Dam. Amidst beautiful and dense teak forests, an area inhabited by Tiger, Leopards, Wildcats, Sloth-bears Foxes, Hyenas, Deer's and Languor's, is The Ratapani, a quiet and quaint Jungle Jungle Lodge, spread over the edge of a cliff, overlooking the Kolar Reservoir and the beautiful Ratapani Jungles, in the valley below. 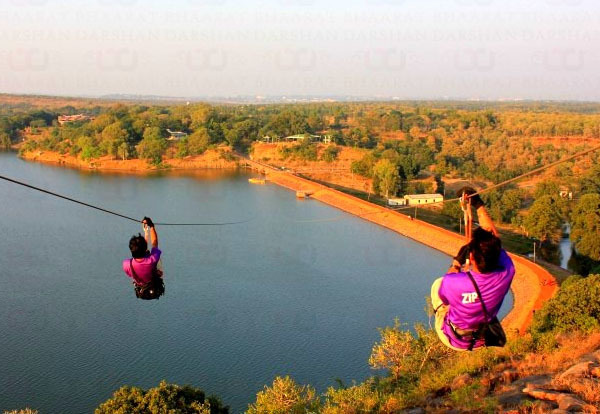 Kerwa dam is a popular picnic spot near Bhopal city. It is around 15kms from Bhopal city and very well connected by road. It was developed as an eco-tourism site where Bhopal people can spend their day while enjoying the scenic nature, birding, adventure games etc. It covers 69sq.kms. area which includes it catchment area. The another religious as well as heritage site near the Bhopal is the Mahadev pani. Mahadev Pani (Lord Shiva’s waters) is a small tourist near Raisen road (NH86) about 15-20 Kms form main city, near a small village named Sehatganj. It has a small dam, its reservoir, small waterfalls amid extensive rocky surface. The waterfall attracts visitors from all around the city. You are at the top of the mountain with waterfall flowing below. The proposed site is located about 96 km from Bhopal and 61 km from Hoshangabad near village Dimawar of Sehore District and lies at Latitude 22°35 ¢ 20²N and Longitude 77°21 ¢ 10² E. The deepest riverbed level at Barrage site is about 267.473m. Handia (Dimawar) HE project, a run of the River scheme and is a part of Cascade development of Projects on River Narmada. Pre feasibility report of Handia HE Project was prepared by NHDC Limited in June'2004. 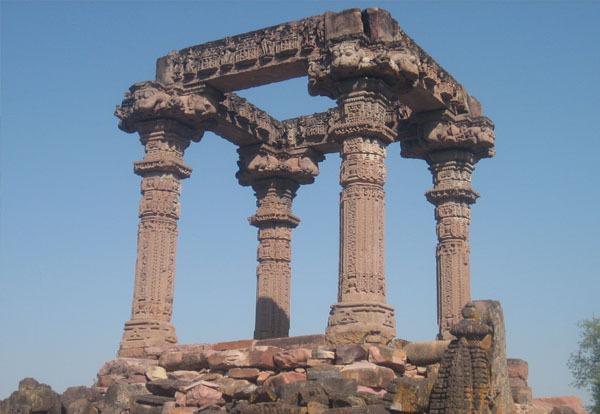 41 km north-east of Sanchi, Gyraspur was a place of considerable importance in the medieval period. Here, in the ruins called Athakhambe (eight pillars) and Chaukhambe (four pillars) are what remains of the columned halls of two temples belonging to the 9th and 10th centuries AD. The faceted shafts of Athakhambe with their extreme delicacy of carving testify to the high degree of craftsmanship during the period. Other monuments of note at Gyraspur are of the early 10th century: Bajra Math and Mala Devi Temple, the latter distinguished by its carved pillars with foliated motifs, representatives of the richest post-Gupta style. The temple built of sand stone enclosed with a dwarf compound wall, the outer face of which was carved richly. The main temple consists of a shrine a hall, three entrance porches and sikhara. it is built in Bhumija style. The mandapa is richly carved and has porches on three sides. Two inscriptions engraved on the temple record the construction of temple during paramara king Udayaditya, between 1059 to 1080. 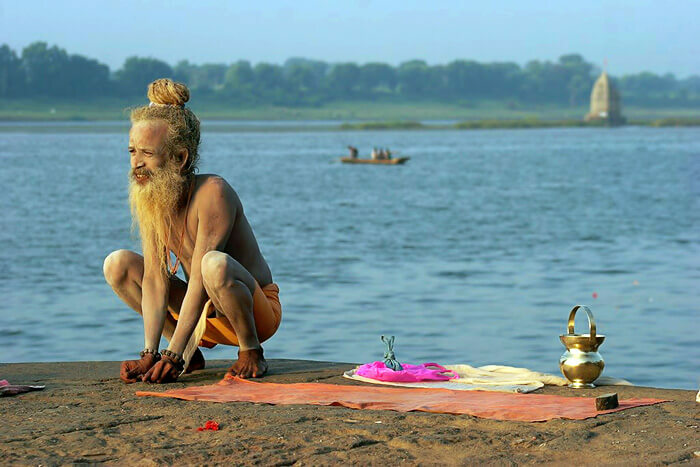 On the banks of the Shipra River, stands an elegant city which glorifies the Mauryan age of India. 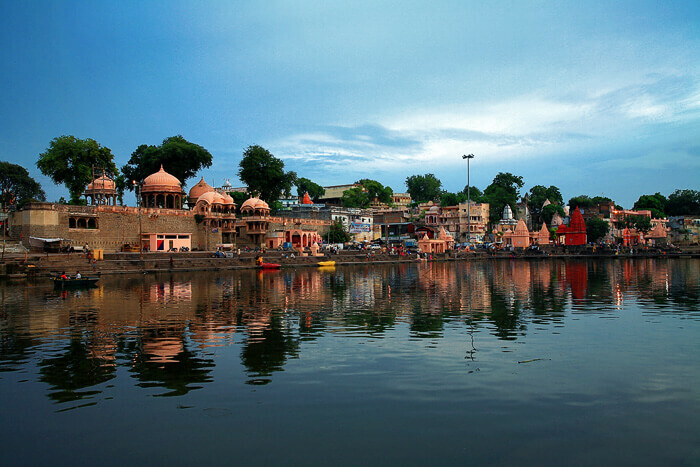 Asoka had been the King of Ujjain; his memories are sharply linked in every nook and corner of the city of Ujjain. Asoka was a great king, and always tried to expand his empire beyond its present boundaries. But afterwards, the sight of thousands of dead bodies at the Kalinga War he changed his mind and he embraced Buddhism that preaches the doctrine of Universal Love. 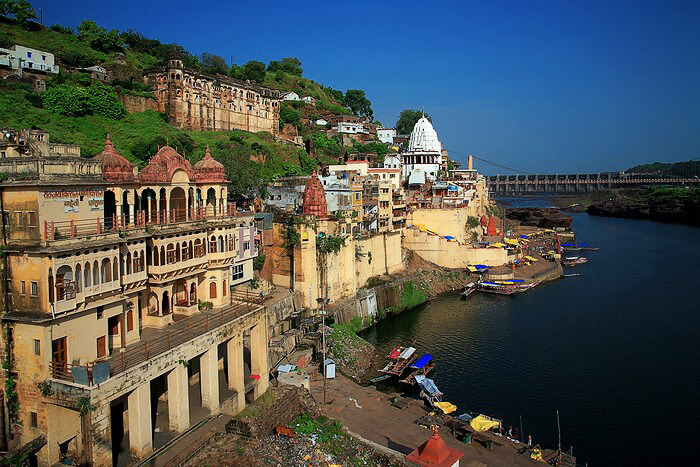 Omkareshwar, the sacred island, shaped like the holiest of all Hindu symbols, 'Om', has drawn to it hundreds of generations of pilgrims. Here, at the confluence of the rivers Narmada and Kaveri, the devout gather to kneel before the Jyotirlinga (one of the twelve throughout India) at the temple of Shri Omkar Mandhata. And here, as in so many of Madhya Pradesh's sacred shrines, the works of Nature complement those of man to provide a setting awe-inspiring in its magnificence. 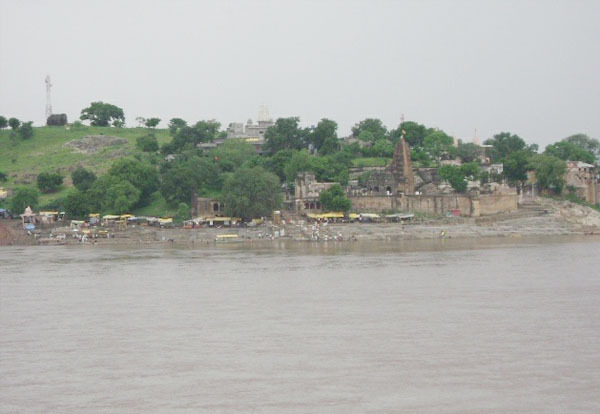 Maheshwar was a glorious city at the dawn of Indian civilization when it was Mahishmati, capital of king Kartivarjun. 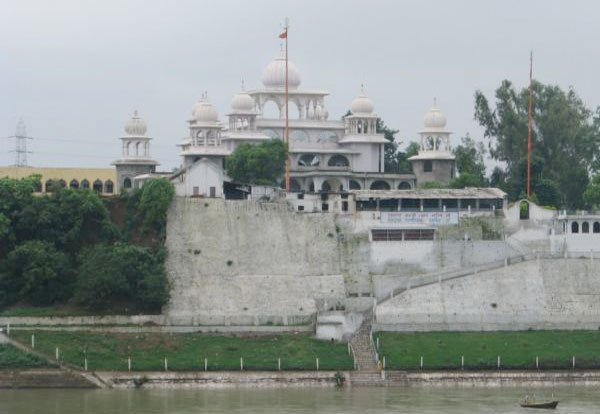 This temple town on the banks of the river Narmada finds mention in the epics of Ramayana and Mahabharata. Revived to its ancient position of importance by the Holkar queen Rani Ahilyabai of Indore. Maheshwar's temples and mighty fort-complex stand in quiet beauty, mirrored in the river below. 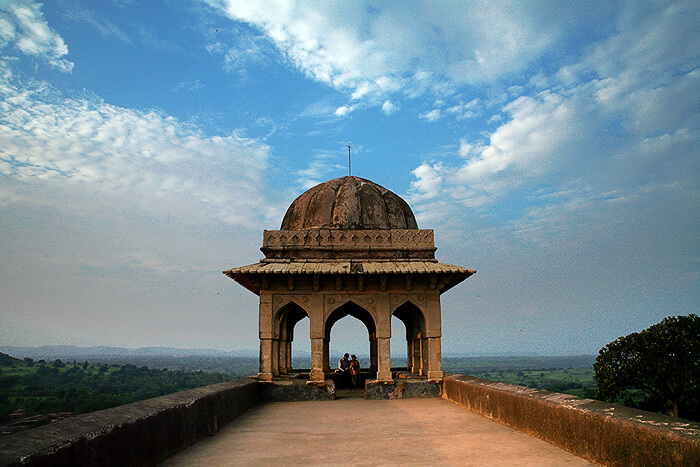 Perched along the Vindhya ranges at an altitude of 2,000 feet, Mandu, with its natural defenses, was originally the fort capital of the Parmara rulers of Malwa. Towards the end of the 13th century, it came under the way of the Sultans of Malwa, the first of whom named it Shadiabad - 'city of joy'. And indeed the pervading spirit of Mandu was of gaiety; and its rulers built exquisite palaces like the Jahaz and Hindola Mahals, ornamental canals, baths and pavilions, as graceful and refined as those times of peace and plenty. 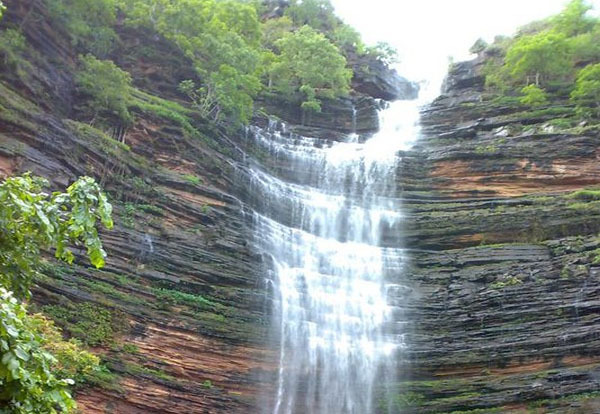 Waterfall is located 36 km from Indore in Madhya Pradesh. This magnificent fall The Waterfall is located 36 kms. from Indore in Madhya Pradesh. This magnificent fall is a popular picnic spot in Indore district. The stream falls from an altitude of 150 fts into the kund. It is said that the bottom of this deep kund reaches Patal (netherworld), hence the name was kept the Patal Pani. Hanumantiya island is a newly introducted water tourism destination in Madhya Pradesh tourism. It is close to Khandwa town in Western Madhya Pradesh. It is developed & promoted by Madhya Pradesh Tourism Development Corporation. The name "Hanumantiya" is derived from local village name with same name which lies in Malhagarh Tehsil of Mandsaur district in Madhya Pradesh. 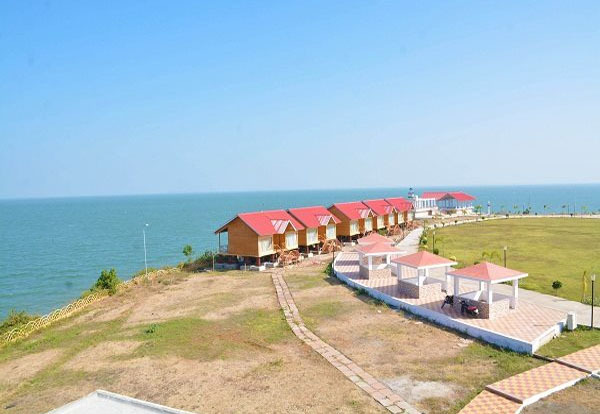 State Tourism Department found this region suitable for water tourism activity so decided to develop it in which they developed the boat-clup, accommodation facility, ensured good road connectivity etc. The other famous water body in the Indore is the choral dam. 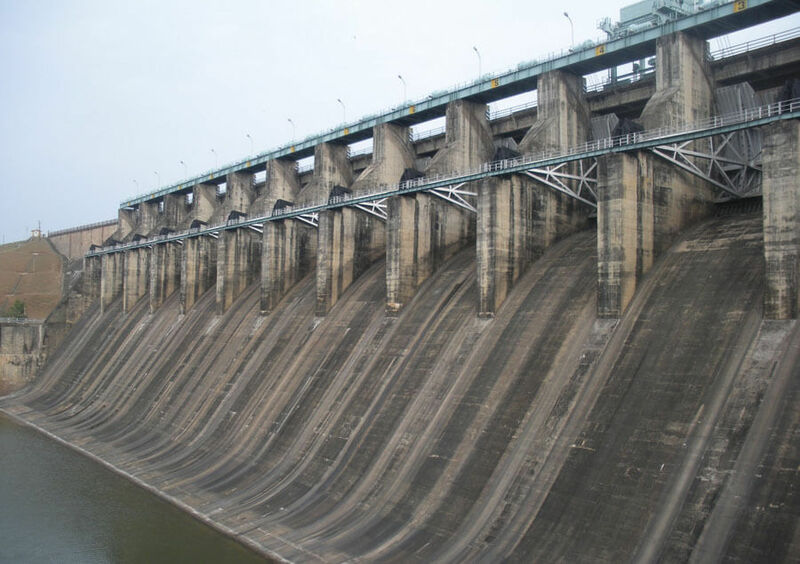 This dam is located at a distance of 45 kilometers from Indore. The Dam has a bungalow for stay which is attached to a beautiful garden setting. This dam is mainly used for irrigation as well as drinking purpose. This dam is developing as a good picnic spot in the recent days. Peoples often visit this place for get rid from various types of the tensions and leaving the tensions. Bhedaghat is a town and a nagar panchayat in Jabalpur district in the state of Madhya Pradesh, India. It is situated by the side of river Narmada and is approximately 20 km from Jabalpur city. It’s most famous sights are the Duandhar Falls, Marble Rocks, and the Chausath Yogini temple. 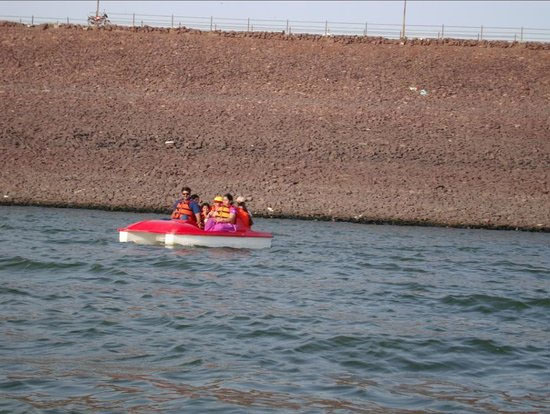 Bargi Dam Water Sports: Bargi dam is built on Narmada River and is about 40km. away from Jabalpur city of Madhya Pradesh, India. 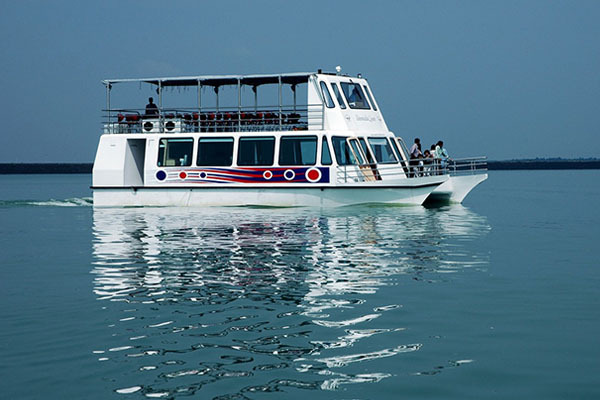 Tourist attraction here are water sports like cruise ride, motor-boat ride, speed boat ride etc. 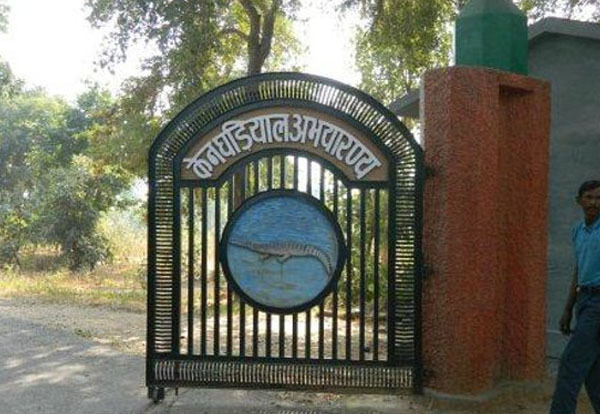 Madhya Pradesh Tourism Department has its own resort in Bargi Dam and promotes it as important section of Jabalpur Sightseeing or Excursion Tour from Jabalpur. On the way to Jabalpur Dumna Airport, eco tourism site called Dumna Nature Reserve has been opened for general public. It is spread over an area of 1058 hectare of land. Located at 10 kms from Jabalpur city center on Dumna Airport road. One can do nature walk, fishing, wild animal sighting, bird watching etc on this nature reserve. Katangi village is situated about 30 kms from Jabalpur city and the natural fall is one of the most beautiful waterfall near Jabalpur. 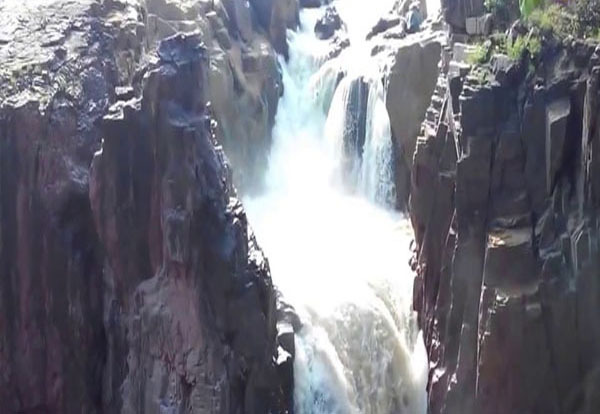 Katangi waterfall is not the most popular but a must visit place near Jabalpur. Panna is situated in the Vindhyan Range and spreads over Panna and Chhatarpur districts in the northern part of the Madhya Pradesh (M.P.) State of India. One of the most significant ecological aspects of the Reserve is that the district Panna makes the northern most boundary of natural distribution of teak and the eastern limits of teak-kardhai mixed forests. 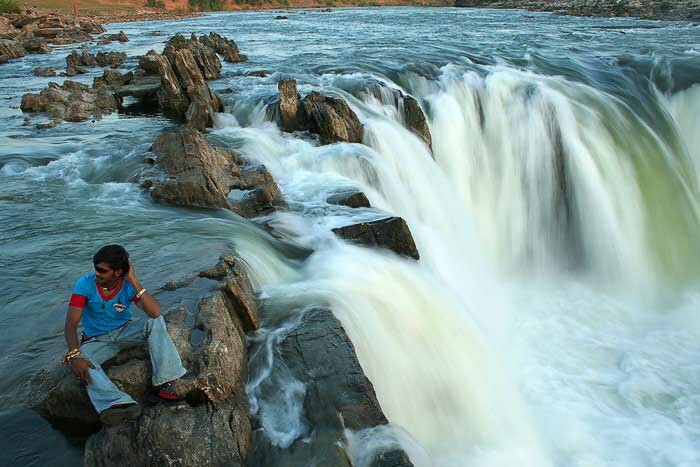 20 km from Khajurao, Raneh Falls are famous for the lovely rock formations on the River Ken. 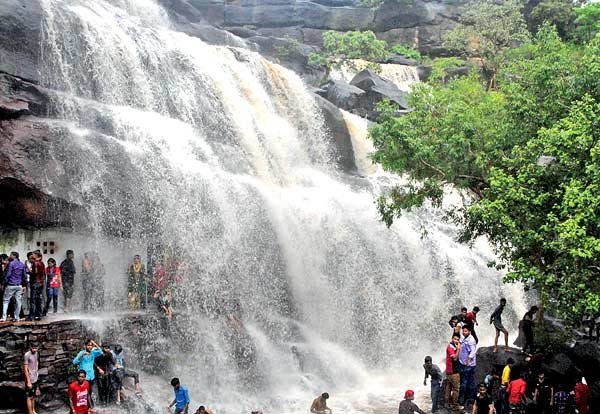 Besides the multihued pure crystalline granite canyon, which is 5 km long and about 100 ft deep, in varying shades of pink, red and gray, there are a number of seasonal waterfalls in the nearby wooded area making it a perfect picnic spot. 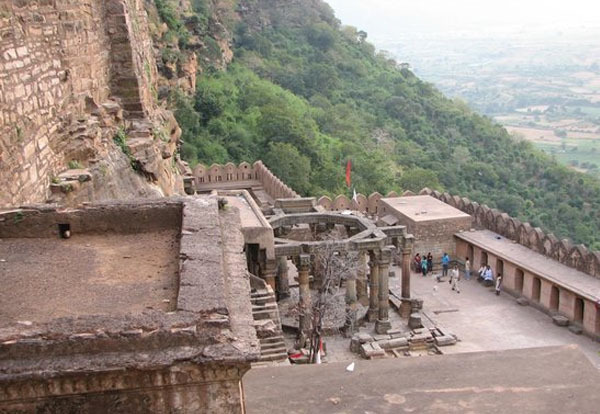 80 km from Khajuraho, Ajaygarh Fort is situated at a height of 688m. This fort remained the capital of Chandelas during the dark times before their reign ended. Kalinjar occupies a place of pride not only in the history of Banda also in the history of India. Many decisive battles were fought for the possession of this strategically located fort in ancient, medieval and modern times, but military aspect alone does not exhaust the importance of Kalinjar. The place is also a symbol of cultural and religious glory. Ken Gharial Sanctuary is a popular tourism spot near Khajuraho temples and Panna national park. It is located on the confluence of Ken river and Khudar river and spread over an area of 45.201 sq.kms. 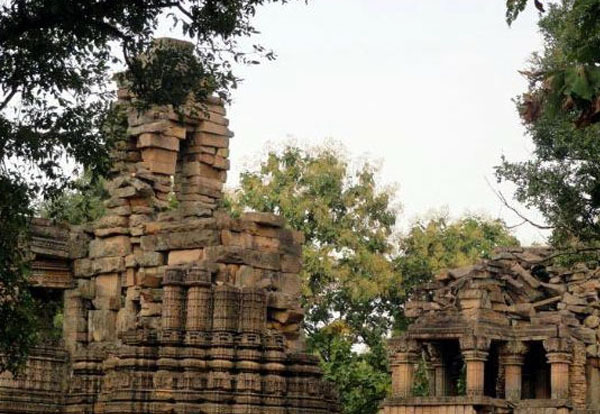 It is located in north-east of Khajuraho temples and North of Panna national park. It lies in Chhatarpur district of Madhya Pradesh and lies in north of state in Central India. Most of the tourists from Khajuraho and Panna national park visits gharial sanctuary as excursion tour. 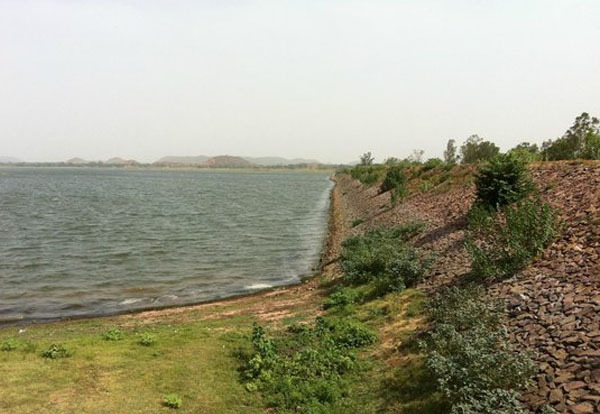 Beni Sagar Dam is first emerging as a wonderful picnic spot for tourists visiting Khajuraho. 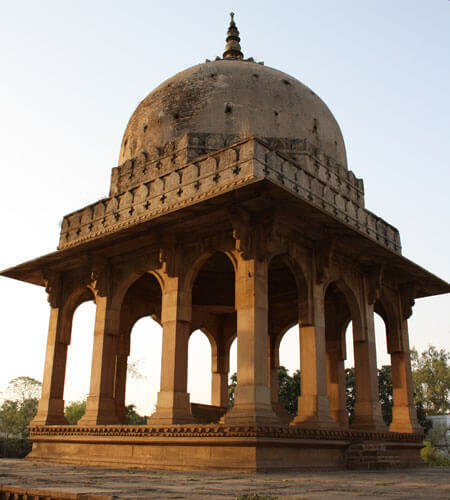 It is located within the outskirts of Khajuraho town. This is one of the magnificent spot in the locality and considered as the one of most visited picnic spot in Khajuraho. This wonderful dam is created across the majestic Khudar River and tourists can enjoy several water sports and activities on this dam. 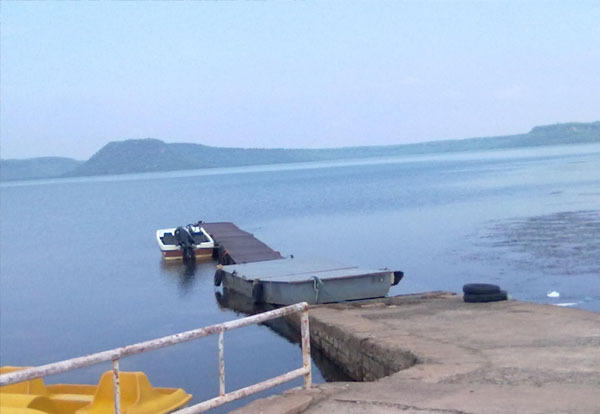 The dam covers an area of 7.7 square kilometer, thus offering ample opportunities to tourists to have great fun and real excitement with different water activities. 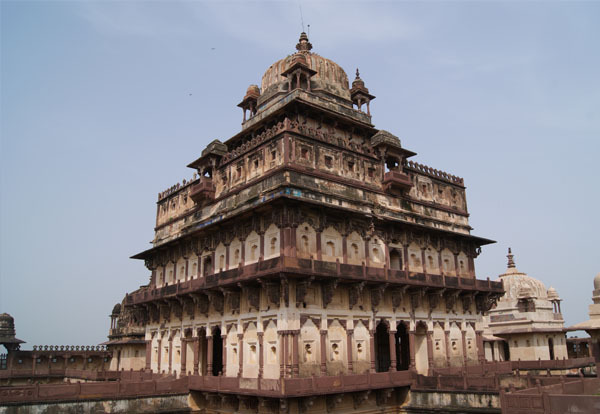 hivpuri is steeped in the royal legacy of its past, when it was the summer capital of the Scindhia rulers of Gwalior. And earlier, its dense forests were the hunting grounds of the Mughals emperor when great herds of elephants were captured by Emperor Akbar. Much later, it was the Tiger that roamed the wooded hills and many a magnificent beast was 'bagged' by royal Shikaris. 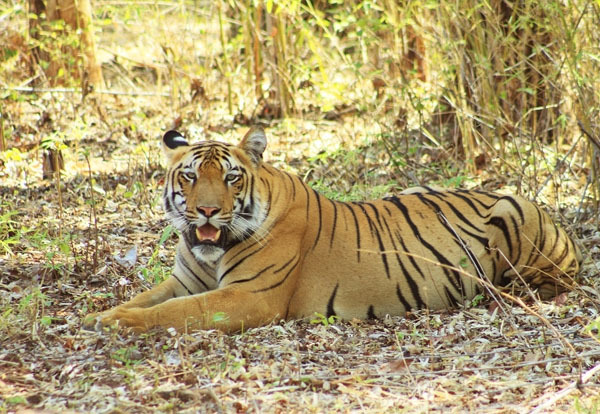 Today Shivpuri is a sanctuary for rare wildlife and fauna. Chanderi is a town of historical importance in Ashoknagar District of Madhya Pradesh state in India. 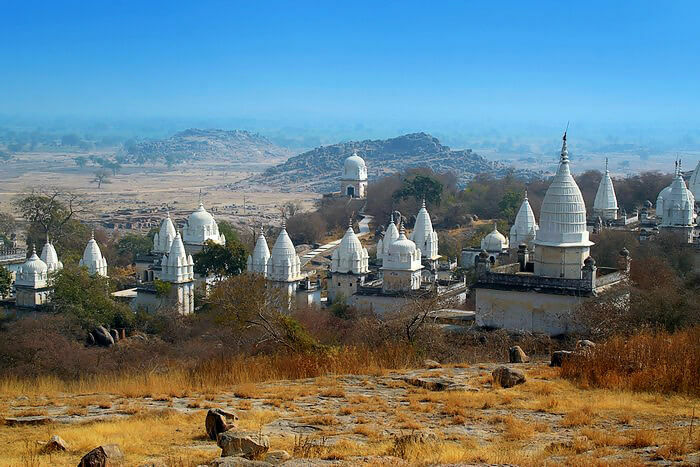 It is situated at a distance of 127 km from Shivpuri, 37 km from Lalitpur, 55 km from Ashok Nagar and about 45 km from Esagarh It is surrounded by hills southwest of the Betwa River. 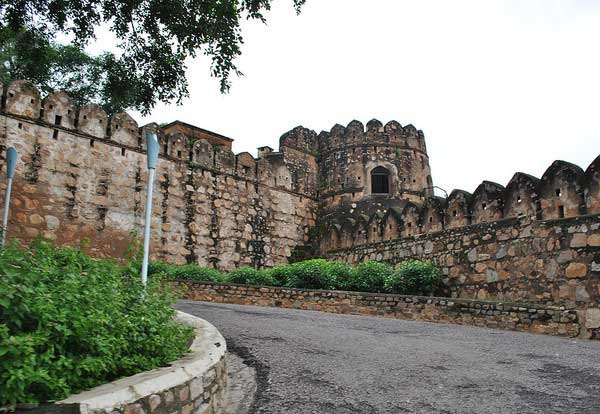 Chanderi is surrounded by hills, lakes and forests and there are several monuments of the Bundela Rajputs and Malwa sultans. Chanderi finds mention in Mahabharata. Shishupal was the king of Mahabharata period. This sacred place is popular among devotees & ascetic saints to practice for self-discipline, austerity and to attain Nirvana (Salvation) since the time of BhagwanChandraprabhu (The 8th Teerthankar), Five & half Crores of ascetic saints have achived salvation (Moksha or Nirvana) from here. Peetambra Peeth" is located near the city. Peetambra Peeth is the famous "Sakti-Peeth" of the country. Sh. Golokwasi Swamiji Maharaj established "Bagla Mukhi Devi" and "Dhumawati Mai" at this place. Vankhandeshwar Temple at Peetambra-Peeth is one of the Mahabharat-Kaleen temple of Shiva. One of the most important venues of India’s first war of independence in 1857 and the erstwhile capital of Rani Lakshmibai’s kingdom. 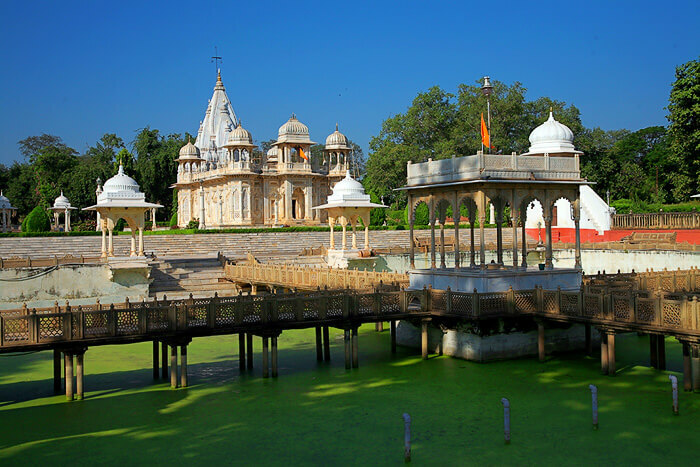 Jhansi serves as the gateway to Bundelkhand region. 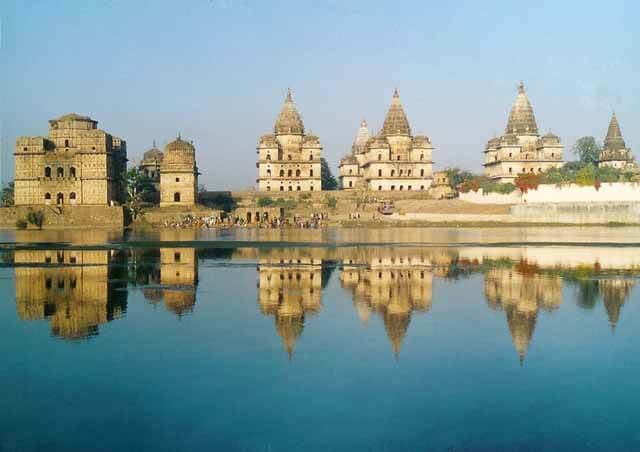 Along with Jhansi, Panna, Orchha and Khajuraho are some of the prominent places which fall under Bundelkhand region. Tigra dam is located in the outskirts of Gwalior (Madhya Pradesh) and it is the primary source of drinking water for Gwalior city. If you visited all the famous tourist places of city and want to spend some time in natural place, then you must give it a try. 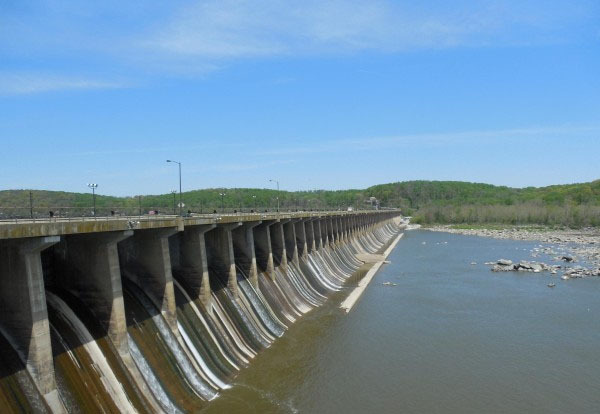 The dam was constructed about hundred years ago and the reservoir has a capacity of 4.8 million cubic meters. Madhav National Park lies between Agra-Bombay road and Jhansi-Shivpuri Road. It is spread over an area of 157.58 Sq. Kms. A drive through the park watching animals is very exhilarating experience.The Park is heaven for wildlife and wildlife buffs. The park remains open throughout the year and boasts of large numbers of chinkara, Indian gazelle and chital. Satpura is surrounded by hills so the weather is very pleasant here throughout the year. The temperature is never above 37 degrees during summers and below 7 degrees during winters. The best season to visit this place is between Januray to June. 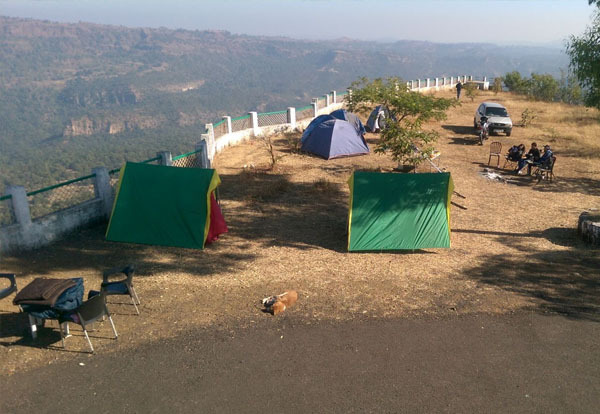 About Satpura National Park Lush green carpet, spread over 524 sq. kms of area in Stapura hill ranges (Mahadeo hills), Satpura National Park lies in Hoshangabad district of Madhya Pradesh, Central India. The Tawa Dam & Reservoir offers a scenic escape from the hustle bustle of city life. It is set amidst lush greenery, and offers much scope for adventure. Sunsets viewed from the dam are especially enchanting. Even more enchanting is the lake cruise, which takes you on a serene hour-long ride along the dreamy little islands dotting the reservoir and the panoramic hills of the Satpura to Churna. 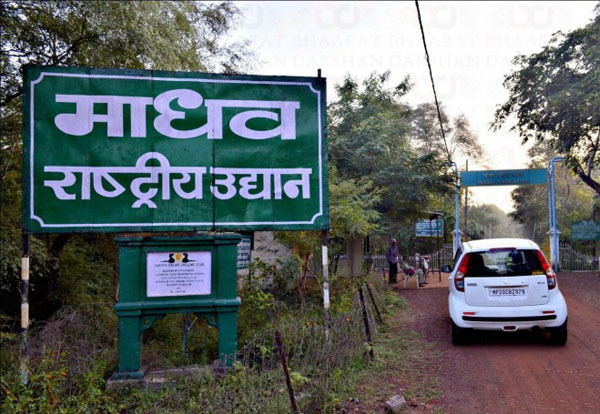 Located at a distance of 32 miles from Chhindwara - Pachmari Road, the undisturbed natural ambiance of this retreatment spot grab attention for the steep hills, big winding ghats and dense forests which have altogether worked vibrantly to make Tamia a beauty spot and a desired tourist place. Atop the hilly region, a Public Work Division rest house is picturesquely set which enhances the beauty of the region. The area is names for a beautiful cave which is at distance of about 1.5 Km from this bungalow. The cave houses the holy 'Shivling' (the deity of Lord Shiva) of 'Chota Mahadev' exists. Theres a waterfall just beside the cave which adds to the beauty of the area. 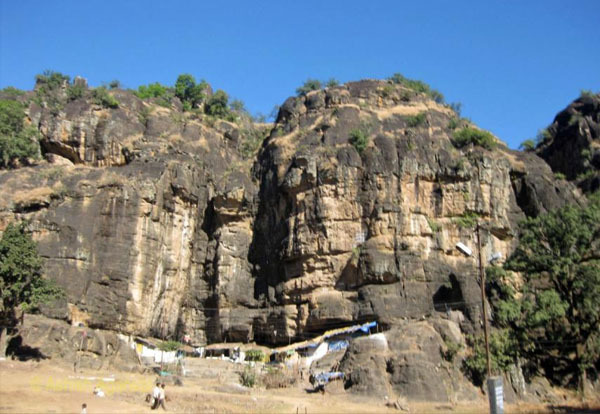 Dhoopgarh, initially called the Harvatsa Kot, is located in the Satpura mountain ranges at Pachmarhi, Madhya Pradesh. It is located at 4429 feet above sea level. Being the highest point on these ranges, it is popular for providing a beautiful view of sunrise and sunset.